The start of a new year is a great time to set personal goals and objectives, but have you considered doing the same for your business? 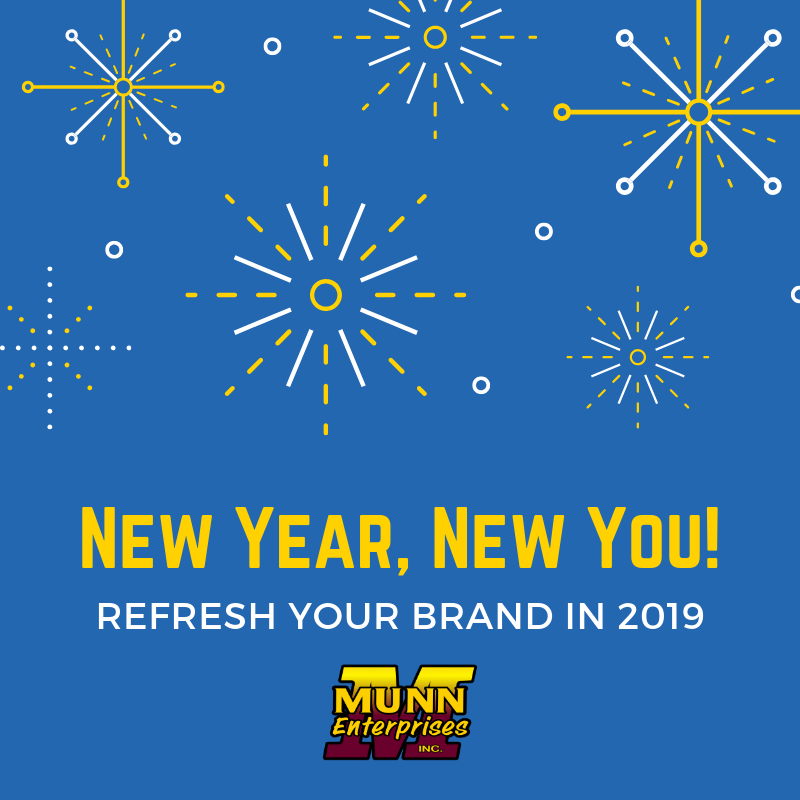 If your sales numbers are dwindling, or if your marketing feels stuck in 1999, it may be time for your business to have a “New Year, New You” moment – and we can help! Your design feels outdated when compared to today’s trends of vivid colors, strong typographic focal points, geometric shapes, abstract patterns, and design minimalism. You’re not reaching the right audience, or maybe you want to reach a specific audience in a more meaningful way. Your branding is inconsistent, or your online and offline branding may be out of alignment. Your growth has stalled, or your sales are soft. Your vision is unclear, or your business has not evolved in response to the market. Think of a brand refresh as plastic surgery or a change in hair color. A refresh can keep or update your visual elements while giving them a new look, tone, or presentation – one that is up-to-date, vibrant, and designed for today’s audiences. Fresh messaging and bold new visuals can help make your business more competitive and successful in 2019. New signage is an integral part of your identity – and must strongly complement your brand – but at Munn Enterprises, we offer so much more than just signs. As your partner in successful visual communications, we can help refresh your brand, build and install bold and attractive signs, and help you boost your business! This article originally appeared in the January 2, 2019 edition of the Bold Impressions newsletter.